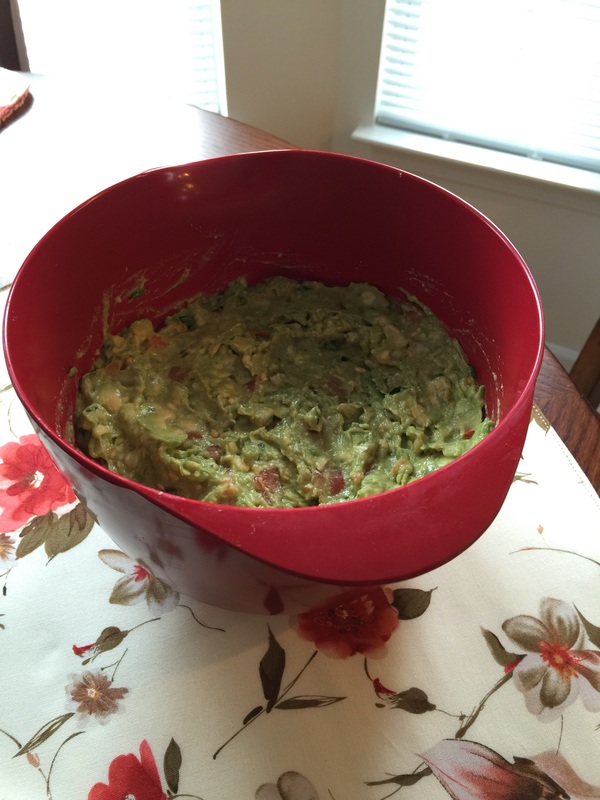 My friend August taught me to make guacamole a couple years ago and today I am sharing my latest recipe for the delicious dish. 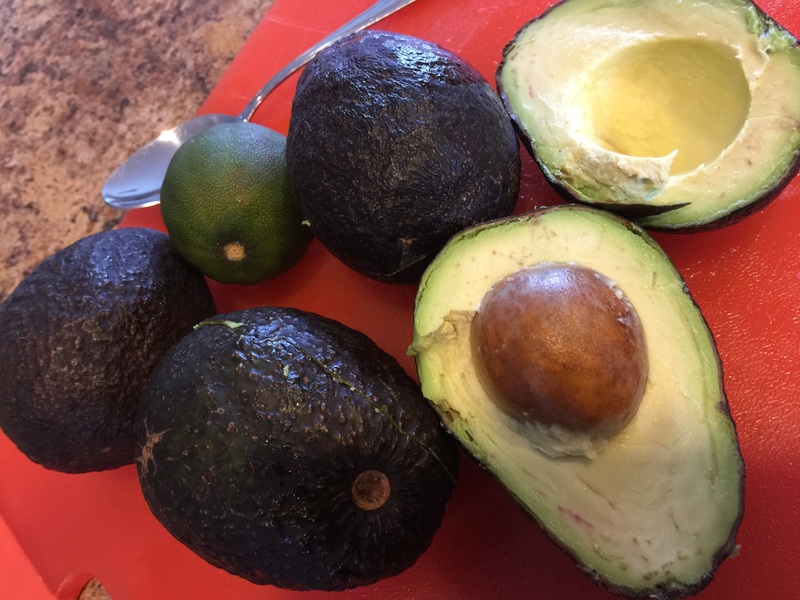 Cut avocados in half lengthwise and remove the seed. Scoop out the fruit and place in a medium bowl. Run a knife through the fruit until desired texture (chunky to smooth) is reached. Add all other ingredients and mix well. Serve with your favorite Mexican dish or with tortilla chips. Store in airtight container in refrigerator for up to 2-3 days. It will turn dark so placing Saran wrap directly over guacamole mixture will help it not to turn as quickly. Stir well before serving each time.